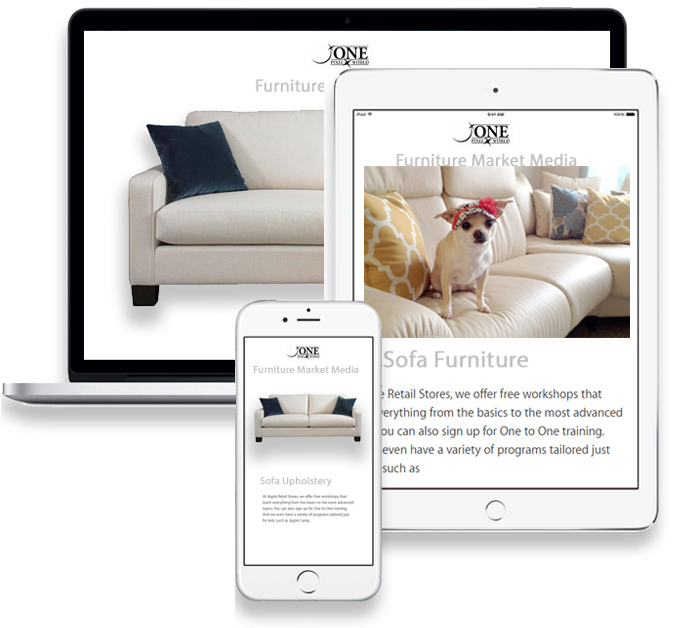 Furniture Market Media is proud to bring you a new complete worry free platform & service developed for retailers in the furniture industry. Smart furniture retailers need a SMART Furniture Catalog. By creating a Responsive, Unique, Clean Design with SEO, (Search Engine Optimization) we can help grow your company's profit! If your business is ready to start growing, get started by contacting us today! Call 888-417-4935 for more information or email us. Furniture Market Media is the complete worry free platform created by One Pixel World for retailers in the furniture industry. By creating a Responsive, Unique, Clean Design with SEO, (Search Engine Optimization) we can help grow your company's profit! If your business is ready to start growing, get started by contacting us today! Call 888-417-4935 for more information or email us. We look forward to serving you!